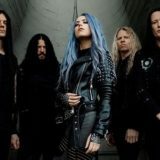 On the opening night of their co-headlining North American tour Trivium, Arch Enemy, and While She Sleeps performed at the House Of Blues in Lake Buena Vista/Orlando, FL. Here are some shots from the sold out show – a hometown performance for Trivium. The trek is still on the move, with remaining dates available at this location. 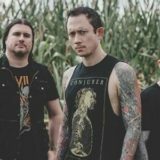 Tickets can be purchased at Trivium.org and ArchEnemy.net. All pictures by Josh Doe Visuals.